With over 25 years of experience, Puget Sound Gas piping specialists are simply the best company there is when it comes to installing and repairing gas piping, heating units, gas bbqs and firepits. We can tackle any project, whether residential or commercial, and we have a team of professionals on hand to handle any heating or gas piping problem. Our services are second to none, and our prices are competitive with any other company in the business. If you need help with replacing, repairing or installing your heating or natural gas appliance, then give Puget Sound Gas a call today! From new furnaces, heat pumps, bbqs, firepits, or any other gas appliance, Puget Sound Gas has what you need. 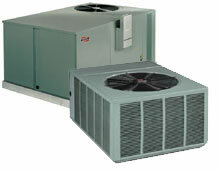 We are a full service heating and air conditioning company and can install a new unit, repair an old one, and do whatever it takes to make your home or office comfortable. We only hire the best professionals at Puget Sound Gas , and it shows. All our technicians are experts in their field and keep up with all the latest technologies. Our team can handle any job in a timely, affordable manner. With over 25 years of experience, Puget Sound Gas piping specialists are simply the best company there is when it comes to installing and repairing gas piping, heating units, gas bbqs and firepits. We can tackle any project, whether residential or commercial.